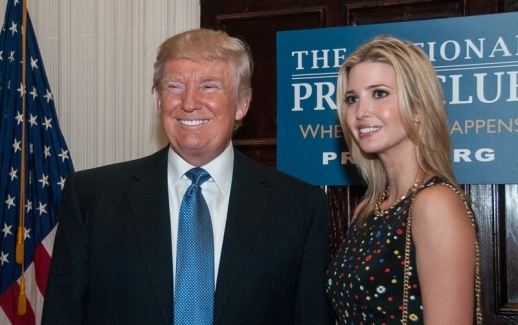 Donald Trump and his daughter Ivanka pose before his luncheon address to the Club, May 27, 2014. 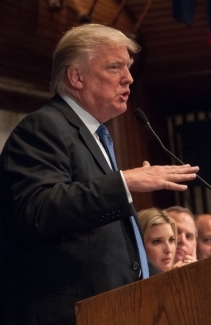 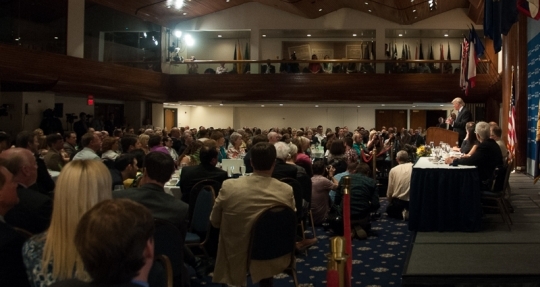 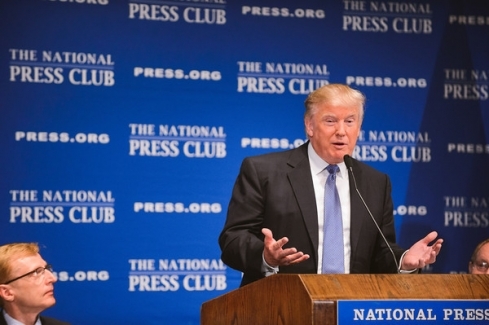 Speaking before a capacity crowd at a National Press Club luncheon, Donald Trump discusses his "brand" and how he developed it, May 27, 2014. 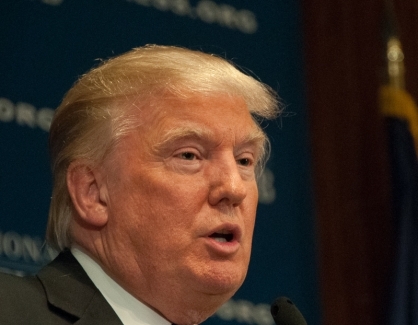 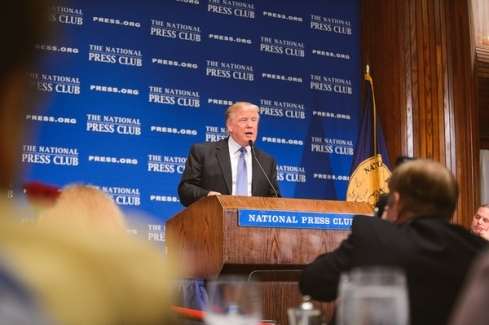 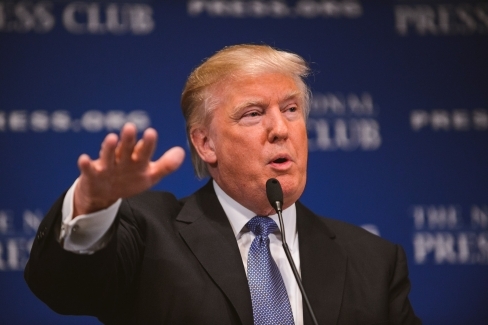 Donald Trump speaks to a National Press Club luncheon, May 27, 2014. 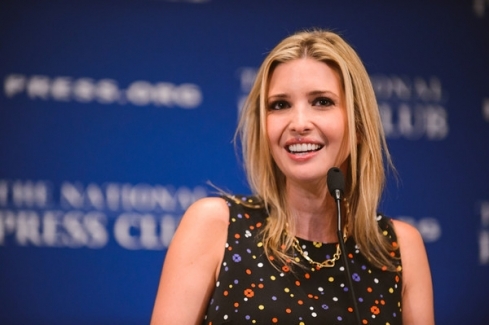 Speaking to a luncheon at the National Press Club, Ivanka Trump describes the Trump organization's plans for the hotel it is constructing in the Old Post Office Building on Pennsylvania Avenue, NW, in Washington, DC, May 27, 2014. 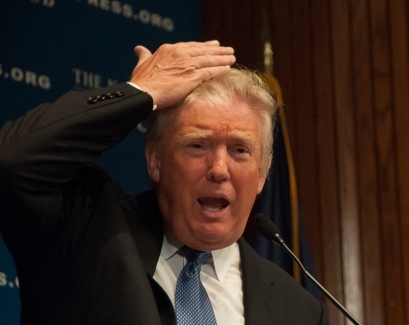 Donald Trump tugs at his hair to demonstrate that it is really his own during a talk to a National Press Club luncheon, May 27, 2014. 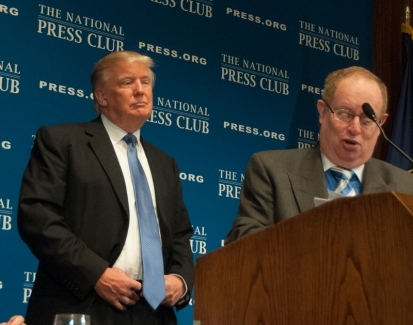 Donald Trump listens as National Press Club President Myron Belkind reads a question submitted by an audience member following Trump's luncheon address to the Club, May 27, 2014. 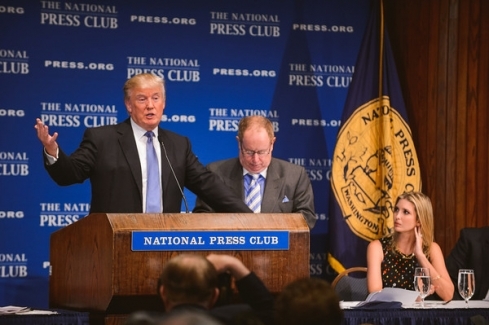 Donald Trump answers a question asked by National Press Club President Myron Belkind following Trump's luncheon address to the Club, May 27, 2014.